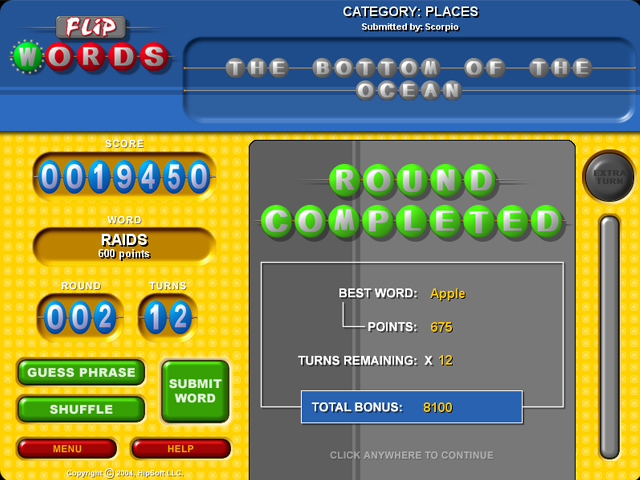 You could become addicted to this word puzzle game. 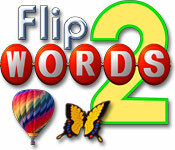 Flip words combines the best points about crossword puzzles and word find games to bring hours of word puzzling fun. In which you must guess a well known phrase to solve the level and reach the next one. 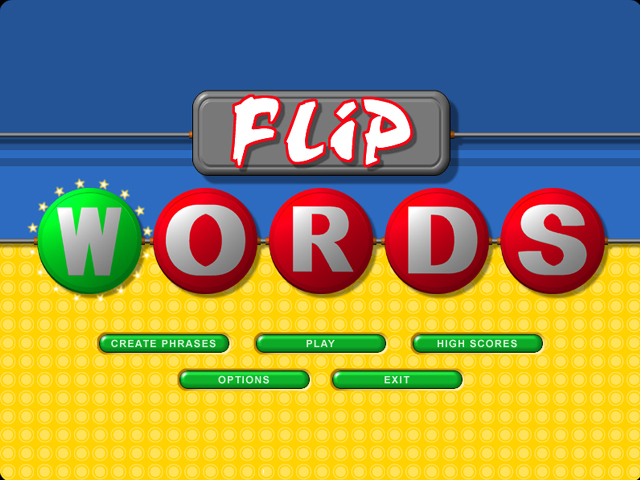 Create flip words to help you and if the first letter of a flip word matches a letter in the phrase you are closer to a solution. You must guess the phrase before running out of turns. 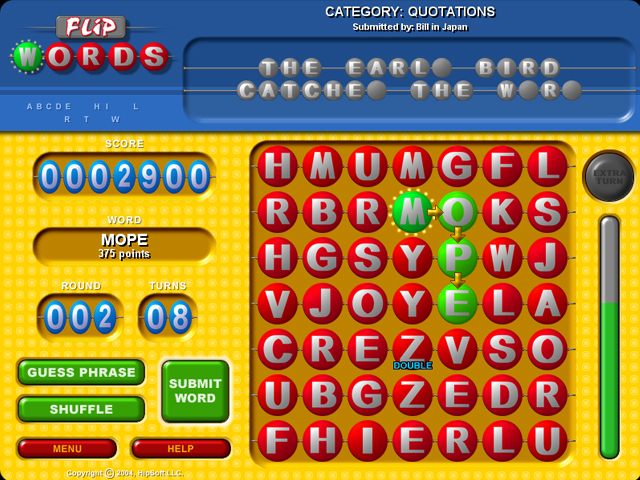 The ability to download new phrases or create your own phrases makes this a game that will never cease to entertain.